Zero Liquid Discharge (ZLD) is an industrial process which does not release any wastewater. This target is commonly achieved by separating streams into evaporation or crystallization paths. During these processes, contaminated elements are discharged as solid waste whilst the condensate is recovered. Typically, the effluent is a salty solution and the thermal separation is the final step of ZLD, after being exposed to pre-treatments, ultrafiltration and reverse osmosis units. 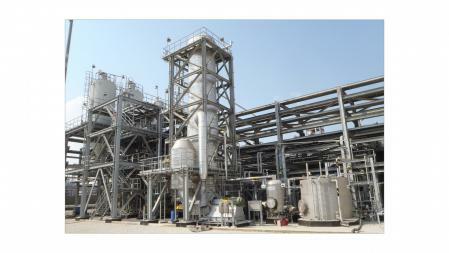 The condensate, otherwise known as distillate, can be recycled as process water. This technology is particularly suited for energy-saving, multiple-effect evaporation and mechanical vapor re-compression processes. It only requires a very small operating temperature and thus allows it to be easily controlled and fast to start up and shut down due to a minimal liquid hold-up. Falling film technology is the right solution for streams which are viscous in nature and contain small concentrations of suspended solids. 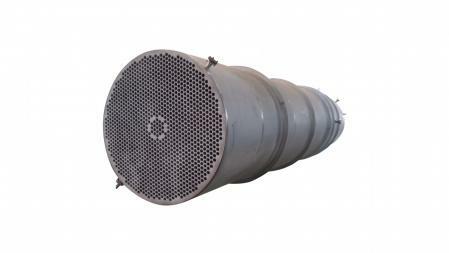 A falling film evaporator can be used as a pre-concentrator in a combined multiple-effect plant. It has the capacity to treat streams with small to large flow rates. These devices are mostly used when strong sludge dewatering or drying is required. They can be used to achieve a water content of less than 5%. Like the falling film evaporators, this technology is easy to control and fast to start up and shut down due to a very low liquid hold-up. Thin film technology is the right solution for scaling products and for highly viscous fluids. A thin film evaporator can be used as a high-concentrator in a combined multiple-effect plant. It has the capacity to treat streams with small to medium flow rates. Our ZLD plants can be supplied as a skid-mounted unit or are suitable for on-site installation.